Richard has been involved in purebred dogs since 1971. He began his career in dogs with primarily Shih Tzu, but along the way has owned and bred Samoyeds, Afghans, Salukis, Whippets, Brussels Griffon, Maltese, Pekingese, Lakeland Terriers and Wire Fox Terriers. Shih Tzu and Lakelands are his main breeds and he has produced over 250 Canadian Champions, 60 American Champions, 16 different Best In Show winners and 10 National Specialty winning dogs. Richard is now a retired professional dog handler, a profession he enjoyed for 15 years. During this time he finished over 500 champions in 80 different breeds and won over 150 All Breed Best in Shows on 16 different breeds. He also owned and piloted a Lakeland Terrier, “Danny”, Am Can Bda Ch Jamelyn’s Second Edition to #1 All Breeds in Canada in 1989. 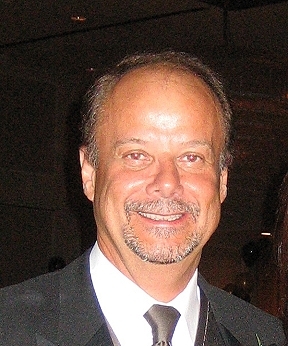 He has served on the executives of All Breed and Specialty breed clubs as well as the Board of Directors of the Canadian Kennel Club. Richard has been honored with Life Memberships in the Canadian Kennel Club, the Sudbury & District Kennel Club and the Canadian Shih Tzu Club as well as being awarded an Honourary Membership in the Canadian Professional Handlers Association. Richard is a CKC Licensed All Breed judge, a founding member of the Canadian Dog Judges Association (CDJA) and a member of the American Dog Judges Association (ADSJA). In addition to Canada and the USA, he has judged in Australia, New Zealand, Bermuda, Brazil, Colombia, Chile, Peru, China, Japan, Mexico, Philippines, Taiwan, South Africa, Denmark, Italy, Finland, Sweden and Ireland. 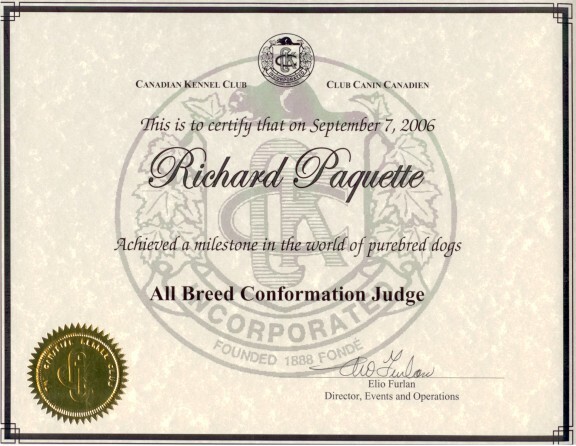 Richard is licensed by the Canadian Kennel Club for ALL BREEDS.